It is clear that part of the joy of playing an Assassin’s Creed game is getting to interact with colourful historical personalities like the villain Rodrigo Borgia in Assassin’s Creed II or the scheming general Napoleon Bonaparte in last year’s Unity. 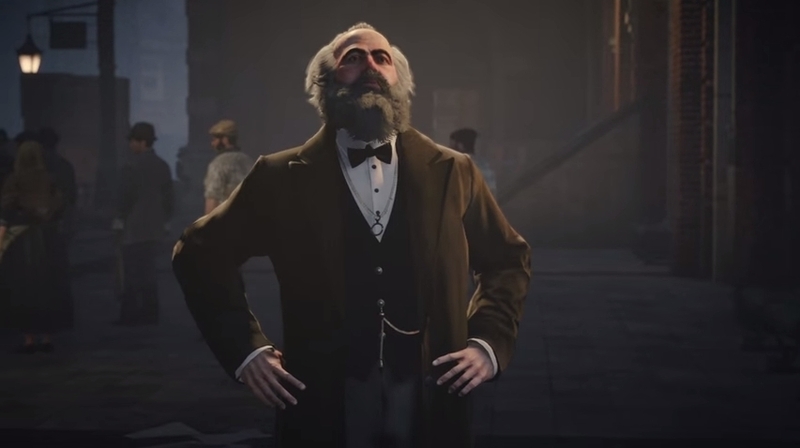 And now that Ubisoft is gearing up to release Assassin’s Creed Syndicate, they’ve released a new trailer showcasing the characters gamers will get to meet in the game’s 19th century London. 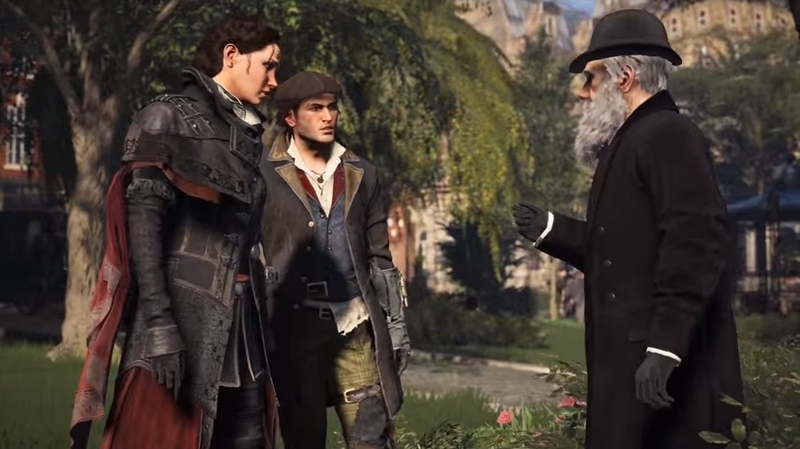 Here follows a list of the top personalities in Assassin’s Creed Syndicate Historical Characters Trailer. 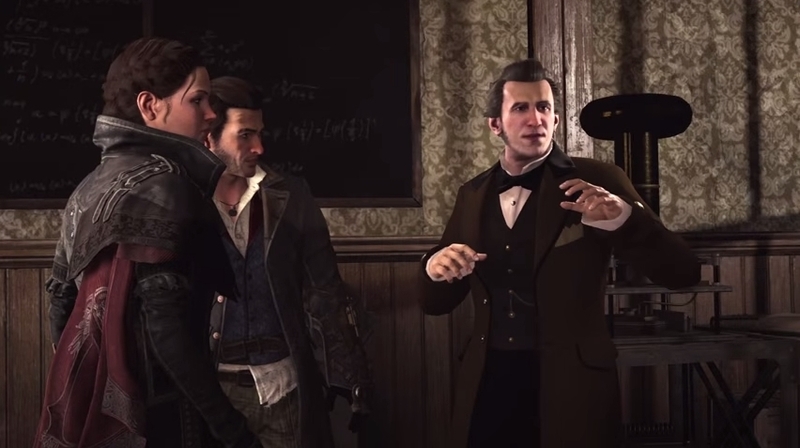 Although the 19th century inventor is renowned for dreaming up the rather handy device known as the telephone, it seems that in Assassin’s Creed Syndicate he’ll be providing weapons to the assassin duo of Jacob and Evie Frye. Like that powerful stun bomb seen in the trailer that can knock out many opponents at once. Of all the scientific theories put forth to date, Evolution has been one of the most controversial, and bearded scientist Charles Darwin is heard complaining in the trailer about people “challenging his ideas”. 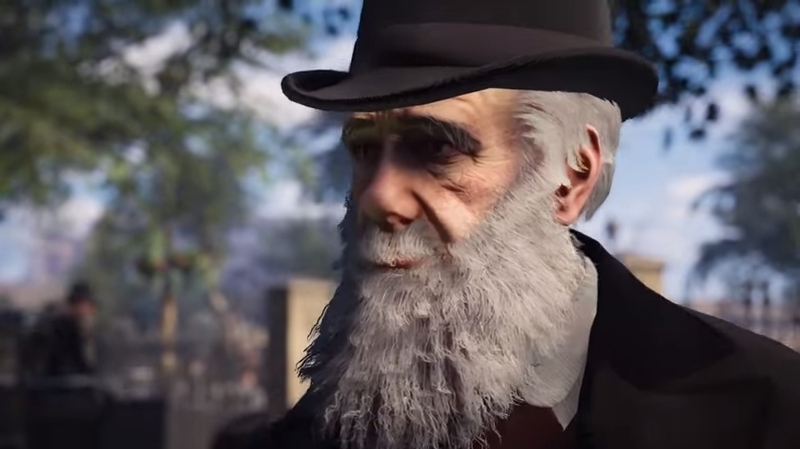 And it seems one way in which protagonists Jacob and Evie will be aiding poor old Darwin will be by removing posters mocking the scientist from London’s streets, a gameplay idea seen in earlier Assassin’s Creed games (which had the effect of reducing one’s notoriety level like in the GTA games). Naturalist Darwin is also seen in his lab with all sorts of flasks and bottles on a table, meaning that perhaps he might be offering useful potions to our heroes to help them in their fight against the Templar Order. 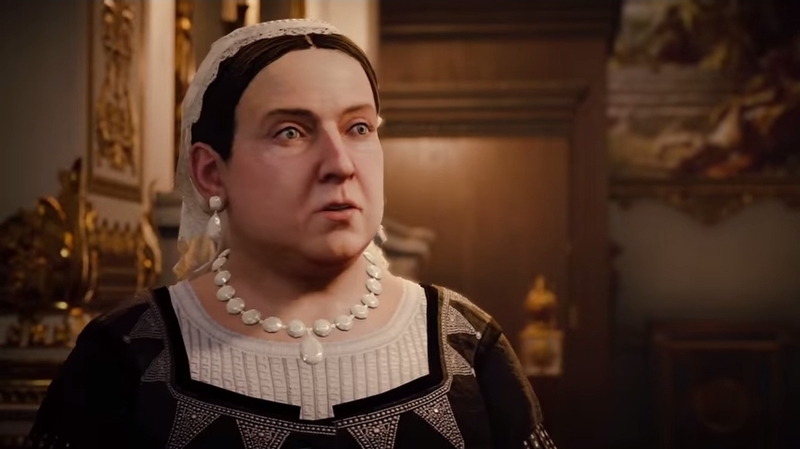 Given that Jacob and Evie join the Assassin Order in Assassin’s Creed Syndicate with the idea of ending oppression in 19th century London, it seems odd that they would side with Queen Victoria at some point in this latest Creed game. After all, Queen Victoria was the world’s most powerful monarch at the time, reigning over an empire and enjoying untold privileges – even the time period in which the game take’s place is named after her.